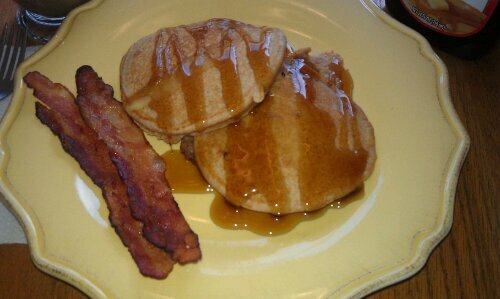 With a drizzle of Aunt Jemimah's Lite Syrup, breakfast is served! I’m always looking for ways to lighten recipes and boost nutritional value, so over the weekend I decided to make whole wheat flapjacks. 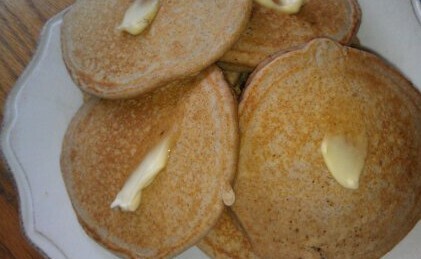 I used stone ground whole wheat flour and brown sugar and flavored them with pure vanilla extract. Baking with whole wheat flour is an easy way to increase the amount of whole grains in your diet, potentially reducing your risk for heart disease. It’s full of fiber-rich bran and contains antioxidant vitamins and minerals that all work together to help maintain good health. Topped with Aunt Jemimah’s Lite Syrup and paired with a side of bacon, this healthy breakfast will start any day off right. Be sure to mix your wet and dry ingredients separately before combining. 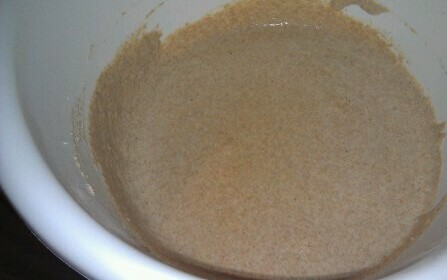 After combining my wet and dry ingredients, the consistency of the batter was too thick. So I added a little more milk to make it pourable. 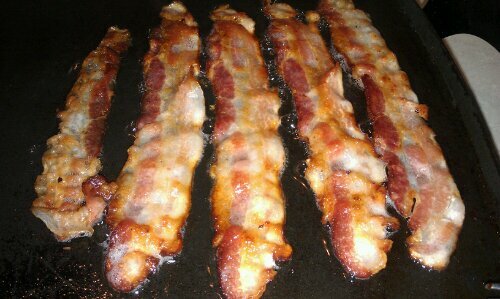 I love my Presto electric griddle! 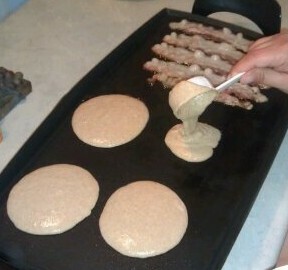 I’m cooking bacon and pancakes at the same time, and it’s easy clean up. 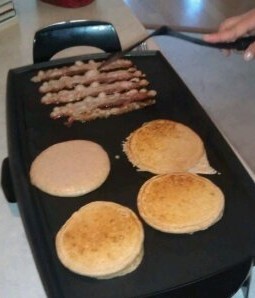 The griddle even has a tray built in to catch the bacon grease. I like to dab each hotcake with butter right after it comes off the griddle. With a drizzle of Aunt Jemimah’s Lite Syrup, breakfast is served! 1. 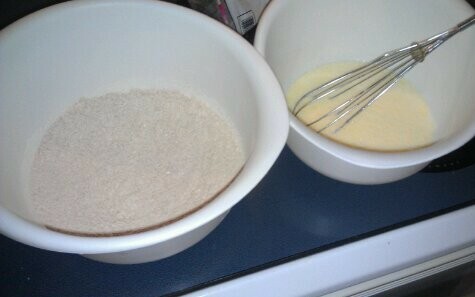 Stir together flour, sugar, baking powder and salt. In another bowl, combine egg, milk, oil and vanilla. Add wet ingredients to dry ingredients. 2. I used a 1/4 cup measuring cup to scoop and pour my pancakes on the griddle. This will ensure that all your pancakes are the same size and cook evenly. 3. Top with syrup and enjoy! How do you make your pancakes more healthy?